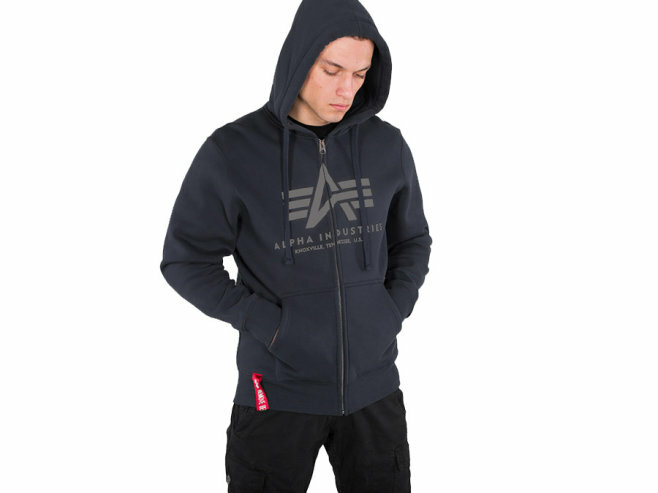 This men's Big A Classic Zip Hoodie by Alpha Industries is made of high-quality brushed cotton molton and features a hoodie with laces, a zipper and a logo flock application on the chest. Fit: Regular. 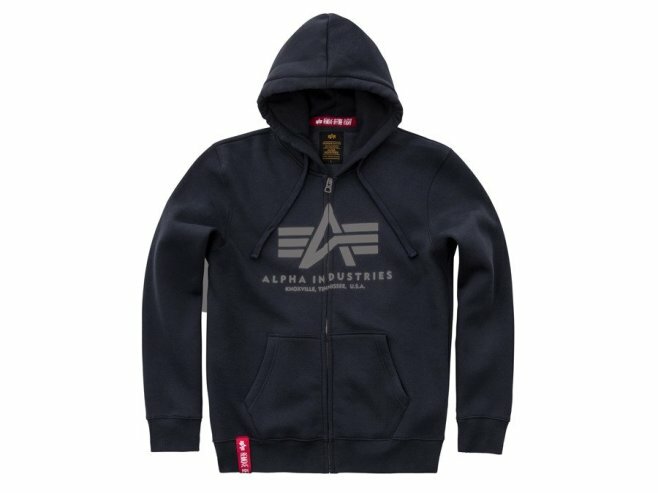 Material: Brushed cotton.